I have been walking (or crawling, rolling, and scooting) this earth for 32 years. Sometimes, it doesn't feel that long... other times, I think, "How am I not 50 yet?!" I am not saying that 50 is old... but it is older than I am, and sometimes I feel older than my relatively short time on this planet. 1. I am the eldest of 4 children. My sister and I came first, and then my parents took a few years break and then my two brothers arrived. Basically, my parents hit the jackpot: have two girls that can then become little moms and help with two little boys. 2. I am a Christ-follower. 3. I am an over-achiever. There have been numerous occasions when a teacher or professor asked for our notes at the end of a semester and I had them typed up, laminated, and bound before turning them in. I couldn't help it. Now, I'm trying my best to help it. 4. I am competitive. I was an athlete growing up, and while I don't compete in sports anymore, I find other ways... the Hubs said over Christmas that he doesn't "like" playing board games with my family... I guess we are ALL competitive. 5. I have Neurocardiogenic Syncope (NCS). I try not to be burdened by my health condition, but its a pretty bad case and therefore, I find it dictating a lot of what I can and can't do and what I can and can't eat. I also find my condition humbling. It is very humble to wake up after passing out while walking through a restaurant. It is humbling to have to lay down on the floor in random places because if I don't I will pass out and fall to the floor instead. It is humbling to have to tell people that I can't fulfill commitments because I can't drive that day. 6. I love Friends. <--- the Friends that is FINALLY on Netflix. The Friends that I watched nightly for many years. The Friends that got me through labor and delivery of my first child. While I do love my actual friends that talk to me... I also love my Friends that are on TV. 7. I am a nerd. I love researching things. I love learning new things. I love reading. I love my smartphone not because of the apps and games but because I have endless researching capabilities at my fingertips and if a random question pops into my head, I can search for the answer and read up on any subject. As a friend puts it, I am a "gatherer of random information." 8. I am a Californian. I do not live there currently and do not foresee myself moving back permanently, but at the heart, I am a Californian. I spent 28 years there. Twenty-eight years in a state that has every type of geography and has so much to do. I used to not understand how people lived in other states. When I have lived 29 years in a different (but same) state, I may or may not change this qualification. I have quite a while to figure this out, though. 9. I am a stay-at-home mom. This is something that I never would have guessed for myself. I grew up wanting to attend Stanford. I wanted to be a teacher or a marine biologist for most of my childhood. But here I am, staying home and taking care of my family. This is my career at the moment. 10. I am the mom to a strong-willed, very intelligent girl. Missy is 5 years old going on 17. She is beautiful and athletic and nurturing. She has the gift of encouragement. According to my parents, she is a carbon copy of myself. She thinks like me, she talks like me, she looks like me... its like I've found a way to clone myself and then give birth to that clone. She loves school and learning and reading. She is very creative. She loves to talk. She is super social and finds it hard not to be with other people. 11. I am the mom to a stubborn, very energetic, and complicated boy. Bub is 4 years old. He has Celiac Disease and is very proud of this diagnosis. He was also recently diagnosed with high functioning Autism Spectrum Disorder. Neither of these things define him. Neither of these things change the person he is. And the Celiac diagnosis caused the bigger change in our lifestyle. He is very intelligent and is coping with both of these things extremely well and has a team of people surrounding him and helping him. Unlike his sister, he prefers to not be with a lot people. He likes to talk but only talks to those he trusts most. 12. I have married a man whom I love and respect. He provides very well for his family. He has integrity. He loves and follows God. He is loyal (almost to a fault, but I'm not complaining). He loves kids and is an awesome father. I love that I get to go through life and do this parenting and family thing with him. 13. I am neurotic and a stress-ball. Does this need an explanation? Ask my third grade teacher. 14. I have a passion for organizing. Sometimes, I want to get a degree in organizing so that I can then get paid to organize for other people. 16. I love to cook. Growing up, I am pretty sure I drove my mom crazy in the kitchen. I wasn't satisfied with "throw x amount of flour in" or "first do this and then do that"... I wanted to know WHY.... why not more flour than that? What is the purpose of this ingredient when it doesn't taste good by itself? Now that I have my own kitchen and the means to research all my questions about the science behind the cooking, I am a happy camper. 17. I've never been a fan of baking. Until Bub was diagnosed with Celiac Disease. Now, it's beast I want to conquer! 18. It is something that didn't define me until a few years ago, but I lost my best friend and sister (as well as her husband and kids) in a horrible traffic accident. Living life without the one person I don't remember life without has been the hardest thing ever. 19. 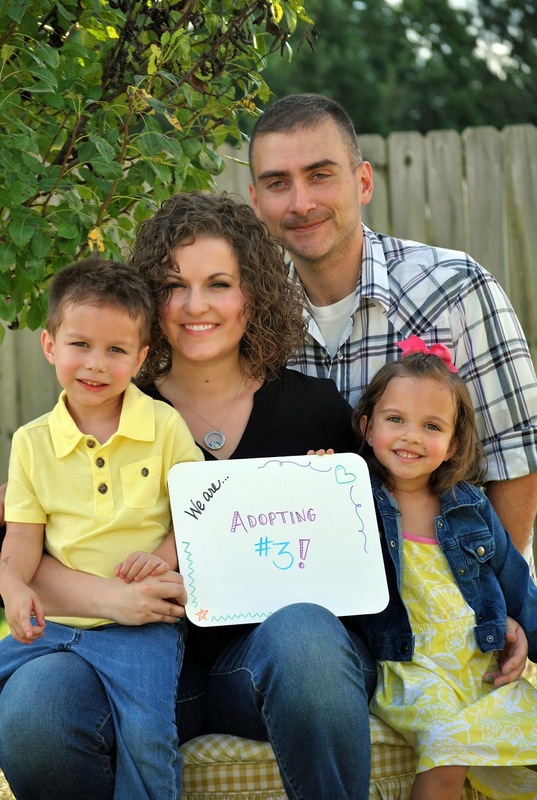 We are in the process of adopting our third child. All 4 of us are so excited to welcome this newest addition - whenever he or she comes. 20. I am an extrovert. I am not necessarily the life of the party, but I need people around me to energize me. 21. I have been blessed with friends that I have had for 20+ years and still communicate with almost daily, even though we are 3000 miles apart. These women have helped to shape me into the person that I am today. They have prayed with me. Gone through the death of my sister with me. Have encourage me and counseled me. We have grown together and I feel so lucky to have met them so young in life. On the flip side, I have been blessed with a few awesome friends since moving to Georgia and I hope to still call them friends 20+ years from now! 22. (10 more!!) I find blogging therapeutic. I love writing and engaging people on this platform. 23. Much to the dismay of my husband, I collect books. I have paired down over the years (some are now in ebook format), but he probably would have preferred me to come into the marriage with a rock collection. It weighs less. 24. We have moved seven times since we got married 7.5 years ago. 25. I am a cat person. I prefer them to dogs. Except Donner. She has been with me for 6 of those 7 moves and I love her. 26. I. LOVE. COFFEE. I am a former barista that married a former coffee roaster. Coffee is a big part of our lives. 28. I have recently learned to sew with a sewing machine. I find great satisfaction in completed projects but often feel like throwing my machine across the room. It is a weird mix of stress-relieving and stress-inducing. This is better than when I took up knitting or crocheting though; I will leave that crafting hobby to my mom and sister. It's for the sake of my family that I don't knit or crochet. 30. I tend to root for the under-dog. I was a Sacramento Kings fan through the 90s if you need an example. 31. I come from a family that had regular family dinners and regular family game nights even after my sister and I were married. We are THAT family. Close knit. We have a group text thread currently. 32. I like to think that I am dependable and loyal. I hate when and if I have to cancel on someone. 2012 was a nightmare in the end due to The Accident. 2013 was a blur as I came out of the fog of mourning. But 2014? It was busy. It was crazy. It was chaotic. I didn't get a lot of blogging done because, while my kids are no longer itty-bitty and hanging off my arms, they are now big and require more space in my lap and block my view of the computer when they sit on it... And well, typing is hard when you can't see the screen and the keyboard. Yes, they are in school during the day, but good grief it's been busy and that's when I can actually accomplish things like cleaning the pee off the bathroom floor and grocery shopping and volunteering and trying to grab a cup of coffee with a friend. Once they go to sleep, I'm back to cleaning and visiting with my husband before I crash into bed and sleep. As I type this... I'm not at my computer. I'm on my phone. Typing into an app. Dinner is done. Bedtime has not quite happened yet. I am kinda-sorta hiding. Because that's how I roll these days. 2014 was probably the most disorganized year of my life. I felt like a chicken with my head cut off most of the time. I've been hard on myself and hard on my family because I just couldn't cope. Disorganization causes me to lose my mind. When it's self-inflicted disorganization? Nope. Can't even. During all the craziness that was my year... add in December and all that it brings with it... I was a hot mess when I received a Facebook message from an old friend: "Thought of you." It then went on to talk about a small band of bloggers that she was putting together. "Bloggers Anonymous." A 12-week challenge. 12 topics. One per week. A place for us to come together. To grow. To connect. To encourage. I've been doing pretty good to blog once a quarter in the past year (maybe less than that... Please, don't go count! ), so I decided that maybe reconnecting with my writing and my readers and this little band of bloggers was just what I needed. An outlet. Something to put the chaos that is my brain into order. Just the way I like it!! So here you go, readers!! 12 posts in 12 weeks!! Can you handle it?!?! I sure hope so cuz it's happening! This year, 2015 gets a Power Word! I have struggled to come up with a word or phrase that will define and shape the next year. But today, while scrolling Facebook, it came to me. I try to keep a lot of my inner dialogue hidden from the world. Mainly because I think that I'm a little crazy. I've recently begun to branch out and let a few people see it... And out of that has developed the phrase, "I pulled a Monica and (enter any neurotic, paranoid, freak out, fast talking, coffee-fueled scenario you want here)." I know they mean well. I love my friends. Imagine the brain of a neurotic Jack Russell terrier and a chihuahua combined and you have my brain. Now for some of you whom have known me for a long time, you may be saying, "No way! You are so even-keeled!" No. I'm telling you! I am a duck!! Calm on the outside and completely freaking out and paddling to stay afloat under the surface!! Letting my friends get a glimpse of the real me has been so freeing!! Weight has been lifted off my back! Now that they know... What do I have to hide from them?! Most of my life I have felt like had to be perfect. I felt like I couldn't make a mistake. I couldn't get a bad grade. I had to have my life together. I had to be able to do it all. But let's be real. I am far from perfect. Only one person has ever been and will ever be perfect. He is the one that I live my life for and the one I strive to be more like, but in reality, I fall short every day. So in 2015, I am offering myself grace. Grace to mess up. I will allow myself to get up and try again. I will ask my kids for forgiveness when I lose my patience and make a mistake because they need to know that Momma isn't perfect and that I mess up just like they do. I'll be real with my friends and let them see me for me. I'll focus more on the relationship with the friend rather than what I THINK they are thinking about me. My REAL friends accept me for me and love me for me, so why not be real with them? I have goals this year. Goals to simplify my home and life and get back to the organized state I prefer. But my mantra for this year: I am far from perfect. Let there be grace. Sometimes as women, we have a habit of comparing ourselves to others, of taking on more than we can chew, of allowing others to shape our identity. Why do we allow Pinterest to laden us with guilt over what we are not doing? Why do we allow the lives of our friends shared on Facebook to give our inner voice a platform for self-doubt? Why do we compare the lives we live everyday to the lives that people edit and glamorize before sharing on social media? Those short posts and pictures are only a small snippet of what is truly going on their lives. We don't know what happens behind closed doors. We don't know the struggles and messes that occur for them. We only know the messes and struggles that we go through. One of my pastors once said that comparing our lives to people on Facebook is like comparing us at our worst to them at their best. It's just not fair to do that to ourselves! Why are we, as women, so hard on ourselves? Who is creating the standard that we feel that we can't measure up to? I was listening to a podcast the other day on InspiredtoAction.com. Kat Lee and her guest, Elisa Pullium, spoke about the comparisons we make. There are two different reasons and outcomes when we compare. Sometimes we do it to grow and be encouraged and to learn something from that person. We do it to become a better mom, wife, sister, daughter, or friend. But sometimes, we compare ourselves to others and it's negative. It leads to questioning our self worth. This type of comparison is not healthy. It is not productive to who we are and the person that God created us to be. Comparing our life or circumstance to another should be about having a teachable spirit rather than an achieving spirit. What is our motivation when we compare? Is it to say that we are better than that person? Or are we tearing ourselves down because we feel that they are better than us? 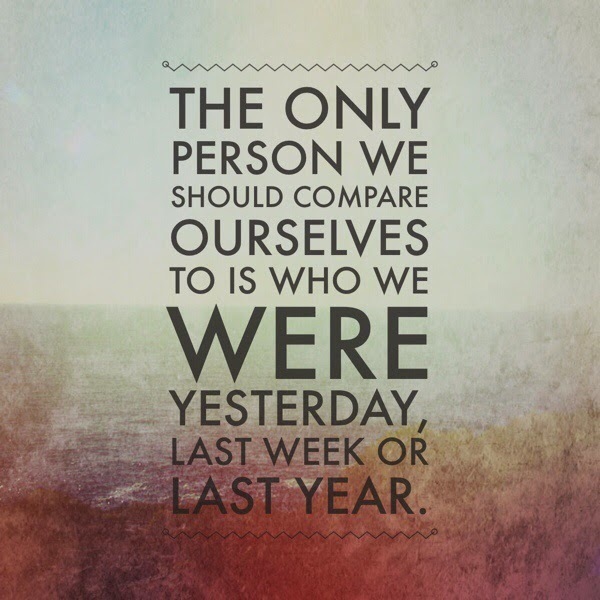 "The only person we should compare ourselves to is who we were yesterday, last week, last year." God has created us uniquely. Psalm 139:13-14 says, "For you created my inmost being; you knit me together in my mother’s womb. I praise you because I am fearfully and wonderfully made; your works are wonderful, I know that full well." He has created us with a specific purpose and has placed us in our circumstances for a reason. We cannot see the entire picture, but he knows the beginning and the end. We need to trust the process. He has designed you to be the mother of your children and you are perfect for them. He has designed you to be the wife of your husband and you are perfect for him. He has designed you to be a daughter... both HIS daughter and the daughter of your earthly parents. Does this mean we shouldn't grow in our walks with Christ? No. Does this mean we constantly be striving to better ourselves? No. But it does mean that HE sets our measure. It means that we shouldn't change our whole being to be someone that we are not. It means that we are NOT worthless in who we are because we don't measure up to this "ideal" that we have imagined but cannot possibly obtain. I am not meant to be a calm, go-with-the-flow mom. As much as I try, I will always find myself writing out a schedule and labeling something. Trust me. I can always find something to label. It is who I am. It's not something I gleaned from reading organizing blogs and magazines or scouring Pinterest for homemaking tips. When I was in elementary school, I was given a rotary label gun. Complete with a rainbow assortment of labeling tape! I was in heaven! And I labeled EVERYTHING that I was allowed to label... well, and probably things that I shouldn't have labeled, and definitely things that do not really need labels (like labeling which bunk was mine). Each shelf on my bookshelf was labeled with the genre of the books that sat on it. All of my boxes and bins were adorned lovingly with the brightly colored embossed labels. Currently, if you were to look on and in my fridge, you would find a weekly schedule broken down into times. There is a slot for bedtime, breakfast, lunch, dinner, snacks, gymnastics, therapy, puzzle time, game night, chores, etcetera, etcetera, etcetera. You will also find a bedtime routine chart and a morning routine chart. And opening the door will reveal labels for each shelf and bin (that, for the sake of full disclosure, were probably put there during a "MOMENT" in which I was losing my mind and the stress had mounted just slightly too high). If my plans get messed up, I can self-combust in T-minus 2 seconds. Organizing and planning is who I am. Denying it, would be to deny part of myself. So try as I might to be an easy going, calm, go-with-the-flow mom, I'm not. I'm like a duck, calm on the outside, but paddling like crazy underneath. I am high strung and neurotic. I've embraced it. But do I let those moments of self-doubt creep in? You bet!! Is it beneficial to me? Mostly, no. Do I have room to grow? DEFINITELY, YES. I know that this is not only who I am, but also a stronghold that needs to be broken in my life. And this is something that I am working on so that I can lead a more balanced life. But I need to learn... and I encourage you to do this also... to take those doubts and comparisons to God and discover whether that is in His perfect plan for you. Discover His purpose for your life, not your purpose for your life. Discover who He has created you to be, not whom you and others think you should be. I've wanted to write this letter for some time now. I do not know why I haven't and I apologize that it has taken me so long to do. I am the sister of the woman you accidentally killed nearly 2 years ago. I want to emphasize that word. The sister of the woman you ACCIDENTALLY killed. I know that you did not set out on September 8th with any intent of killing my family. I don't know why you chose to drive beyond the hours that you were allowed, and it's not my place to assign intent. I don't know the struggles that you were going through, the pain you were feeling, the motive behind your choice to drive for so long - whether that was simply to get the trip over with or if it was another reason. What I do know is that all of us make mistakes. And there are always consequences to every action that we make whether it be a good consequence or a bad consequence. I applaud you for pleading guilty. I believe that admitting guilt and taking ownership for your actions is commendable. You have accepted the consequences of those actions and I respect you for that. I pray that your relationship with your son is not severed over the next decade or two. I pray that you are able to reunite with him one day because he does not deserve life without a father. I pray that you are able to go back to your home country one day so that you can see your family again. Ephesians 4:32 says, "Be kind and compassionate to one another, forgiving each other, just as in Christ God forgave you." God showed compassion on my sister, brother-in-law, and nephews. God has shown compassion on me. God has shown compassion on you. God has forgiven me for all the wrongs that I have done in my lifetime. I, in turn, forgive you. Forgiveness can't erase the consequences that you will have to endure for your actions, but I hope that it can offer you some peace. So, Mr. Slezak, I forgive you. I pray for you. I pray for your family. During this time of year... well, often throughout the year... I reflect on the calling of Motherhood. 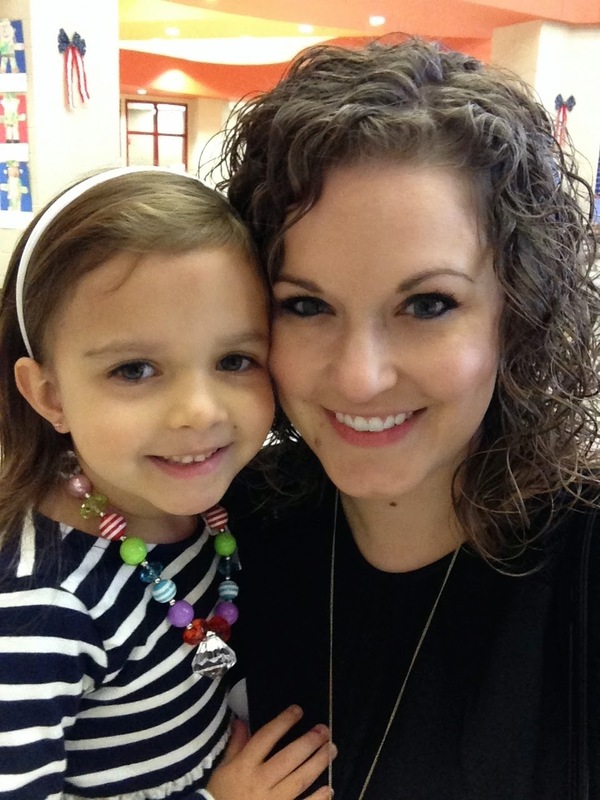 Growing up, I often didn't realize what motherhood was really like and all that it entailed. After all, raising kids isn't too hard, right? WRONG!! Motherhood is messy. It's exhausting. It is draining and thankless and never-ending. Just as you think you have gotten it all figured out and life is smooth sailing, one of your children will vomit all over the rug, or one will punch another one in the face (this hasn't happened to me... yet... the punching, not the vomiting - that has happened... a little too often for my taste... and not just by the 2-legged children... but more often by the 4-legged ones... but I digress...). My point is, motherhood is hard. There isn't one perfect way of doing it, if there was, motherhood (and fatherhood) would come with an instruction manual. But it doesn't. Every mother is different. Every child is different. Two women can have the same basic event happen to them, but you know what? It's still not the exact same because each woman will have a different personality and a different outlook and therefore will EXPERIENCE it... differently. Our goal as mothers should be to raise upstanding citizens that care for others, that have passion and a drive for something, that can stand on their own two feet in life, and make something of themselves. Our goal shouldn't be to "outdo" the mother next to us. It shouldn't be all about "keeping up with the Jones'"... sometimes what the Jones' have isn't what is best for your family. Stay true to yourself and who you are. As mothers, we should be encouraging one another. We should be supporting one another. We should be uplifting and mentoring and just being there for each other! Instead, I see passive aggressive Facebook and "Mommy Board" posts or not-so-passive-but-just-plain-ol'-aggressive posts tearing each other down and lifting ourselves up. So whether you are a mother of 1 or a mother of 20, a cottage dwelling mom or a mansion dwelling mom, an organic eating mom or a food allergy mom, a gifted student mom or a special needs mom, a stay-at-home mom or a work-outside-the-home mom... YOU ROCK! You do you, I'll do me, and lets just agree that we are all doing the best we can for our children and families. And if we see one of us struggling, let's lend them a hand and maybe supply them with a coffee to make it through the tough times. If we see a mom do something that we would "never let our children do" (like letting our son walk into a cement pillar face first and bounce off of it), remember that you don't know the full story (like the fact that I have told him countless times to watch where he is walking and that I decided that maybe the consequence of running into said cement pillar would be the best way for him to learn to walk with his head facing forward and his eyes open). We have all been there and I'm sure one of our kids is just waiting to throw us a curve ball just as we get a little comfortable. Enjoy your children. Sing songs from Frozen with them... belt it out! 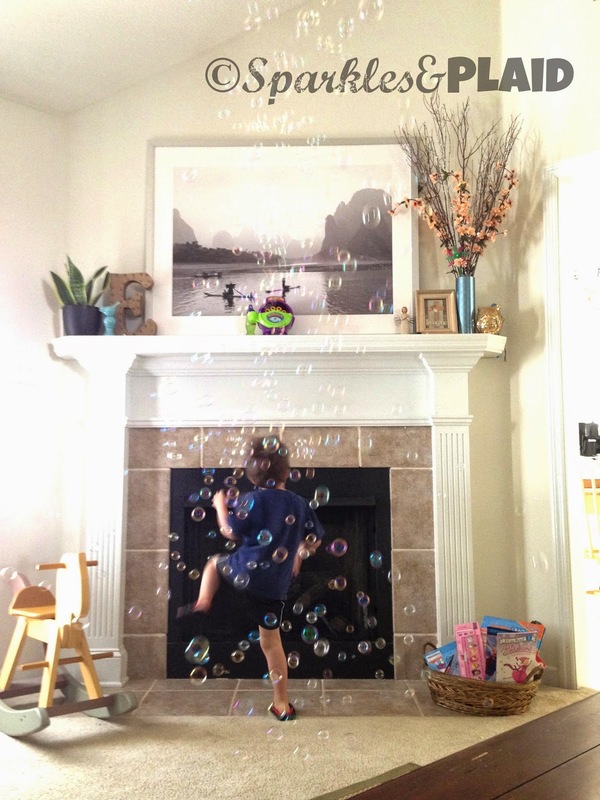 Turn on a bubble machine and dance! Hello! Thanks for joining me! 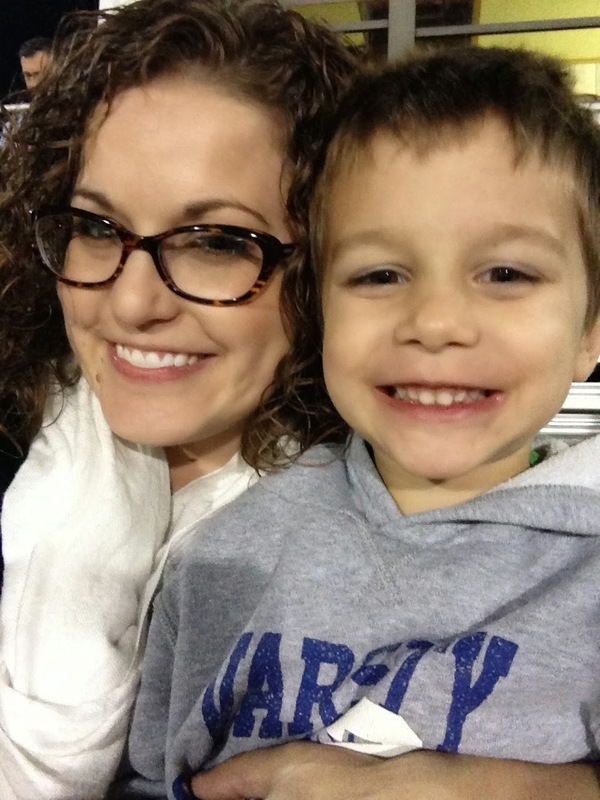 I am a stay-at-home-mom, but I am not "just a mom!" I take pride in what I do. I'm raising our crazy kids to the best of my ability and making our house a home. Life is crazy, but its full of sparkles and plaid! © Sparkles and Plaid. Picture Window theme. Theme images by merrymoonmary. Powered by Blogger.